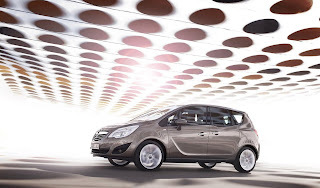 GM Russia said it will start production of the Opel Meriva in May, with long-term local partner Avtotor. While production volumes were not revealed, the Meriva will be offered in three trim-levels; Essentia, Enjoy and Cosmo, starting at RUB556,120, RUB601,500, and RUB689,500. Three engines will be available; a base 100bhp (99PS/75kW) 1.4 litre, 1.4 litre turbocharged 140bhp (138PS/104kW) petrol and a 110bhp (109PS/82kW) 1.7 CDTi.